Goldfish plants (Columnea gloriosa) come to us from the Central and South American tropics and derive their common name from the unusual shape of their flowers, which with some imagination, resemble fish. Under ideal conditions, the goldfish hanging plant blooms prolifically in a variety of reds, oranges and yellows. The leaves are generally 2 to 3 inches long, thick, waxy and dark green, although there are a few varieties with hairy leaves. The stems are vining and can reach 3 feet long. Because of its very specific needs, the goldfish hanging plant has a well deserved reputation as a fussy plant rife with problems. With goldfish houseplants, attention to detail is the key to success. As with so many of our windowsill guests, goldfish plant care begins with understanding where and how they grow in their natural state. 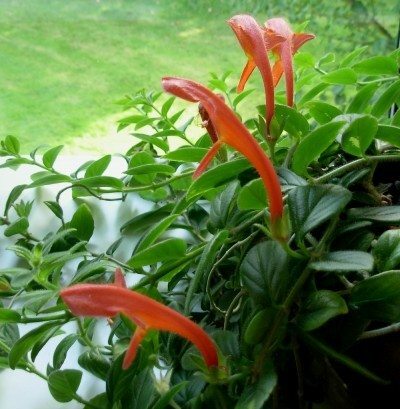 Goldfish plants belong to the genus Columnea. They are epiphytes, a type of plant that grows upon other plants, usually a tree. They are not parasites and do not receive nourishment from the host plant, but rather, use it as an anchor or perch. As with most epiphytes, proper goldfish plant care requires them to get most of their moisture and nutrients from the air around them and most of their energy from photosynthesis (where water and carbon dioxide, in the presence of sunlight, combine to form the glucose that is essential for their growth). Its roots are primarily for anchoring the plant and not for nourishment. To avoid many of the problems with goldfish houseplants and other epiphytes, you must begin with the proper growing medium. 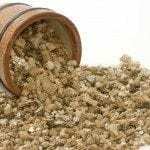 The medium should be light and coarse and should not, in spite of the plant’s needs, hold water for extended periods of time. 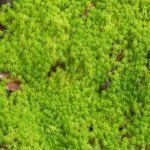 Coarse sphagnum moss or a combination of sphagnum moss, perlite and vermiculite in equal quantities will work well. Temperature is also a factor in how to grow goldfish houseplant. Many people assume that tropicals need high heat, but in nature, most of these plants grow under a heavy canopy where the temperature is cooler. In fact, your goldfish houseplants are happiest in average room temperatures of 65-75 F. (18-24 C.). Because so much of their energy is derived from light, your goldfish hanging plant needs about 13 hours of bright light per day. Avoid direct sunlight as it will dry the plant and scorch the leaves. A good grow-light is an excellent addition to the list of needs for growing goldfish plants successfully. Humidity is another crucial factor in how to grow goldfish houseplant. These tropical epiphytes need mild to moderate humidity and should be lightly misted on a daily basis with room temperature water. Cold water will cause damage to the foliage. A room humidifier or a humidity tray will be helpful in any circumstance, but particularly in areas where the air is typically dry. Your plant will bloom heaviest in spring and summer and during that time it should receive a half dose of high phosphorus (10-30-10) liquid fertilizer every two weeks. Water your plant thoroughly spring through fall, but allow the top 2 inches to dry completely before watering again. 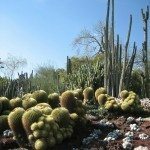 In winter, cut watering back slightly. Most problems with goldfish plant such as leggy growth, leaf drop, and lack of flowering are directly related to everyday goldfish plant care. Oddly, for a plant that needs such a moist environment, the biggest culprit is overwatering. Too much space can also cause problems, as Columnea prefers to be pot bound. Legginess, which may be a symptom of low light, may also be the result of normal plant growth. Pinch back your goldfish plant after blooming to encourage branching and bushier growth. Beyond this, there are several problems with goldfish plants involving both disease and pests. These plants are highly susceptible to botrytis mold, fungal leaf spots and mosaic viruses. Aphids, spider mites, and cottony cushion scale are common. Therefore, careful inspection for these pests and diseases should be a regular part of your goldfish plant care. In spite of their fussiness, goldfish houseplants offer a high return for their care. These unique plants are a showstopper when in full bloom. So now you know the basics of how to grow a goldfish houseplant, why don’t you give one a try? Read more articles about Goldfish Plants.